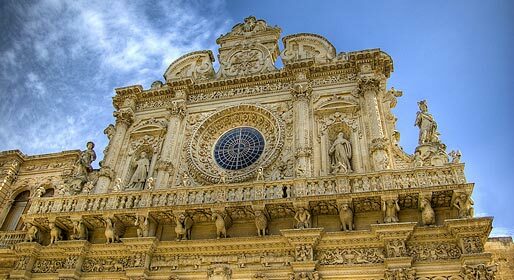 Ugento, a lovely art town in Puglia, offers both the best of this fascinating southern region's history and uncontaminated coastal countryside. 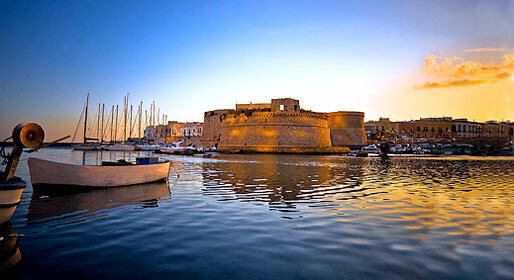 Located in southern Salento on the Gulf of Taranto, Ugento is a popular tourist destination due to its excellent architecture and beautiful landscapes. Ugento includes the villages of Gemini and Torre San Giovanni, the Torre Mozza and Lido Marini marinas, and the hamlet of Fontanelle. 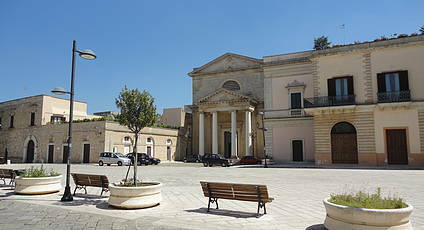 The town and surrounding area are rich in historic and artistic sights, including a number of important churches and convents, including the breathtaking Cathedral dedicated to the Madonna Maria SS Assunta in Cielo, constructed in 1855 on the site of an older church destroyed by Saracen invaders. The town of Ugento is also known for its gorgeous nearby coast, lined with sandy beaches which are reminiscent of the Caribbean, with fine white sand and stretches of rocky cliffs. There are a number of manmade lagoons dug slightly inland and surrounded by olive groves. 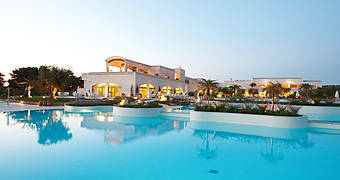 The excellent cuisine, warm hospitality, quality hotels, and beach clubs offering a variety of services make this the perfect destination in Puglia's Salento.